Around June time each year there is a distinct tingle in the air felt by everybody who’s anybody in the world of horse racing. 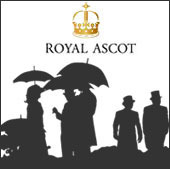 Yes indeed, the ‘Sport of Kings’ will once again be hosting it’s finest festival; this is of course Royal Ascot. The best thing about it is that you, yes you and your friends can be part of it this year by using our Birmingham Royal Ascot limo hire service in conjunction with our Hummer limousine hire vehicles. That’s correct; if you are planning on ‘wowing’ the crowds with your fellow girls on Ladies day then you need only look to our pink Hummer limo hire from Birmingham to give you that arrival fit for a queen. Inside our Birmingham Pink Hummer limousine hire cars there is space for up to an amazing 16 passengers inside meaning that there is optimum room for all of your close friends to come along on the Birmingham Hummer limousine hire ride and truly enjoy the spectacle of horse racing that is Royal Ascot. It really takes the sting out of travelling such a long distance and puts the polish on your arrival to the festival itself. 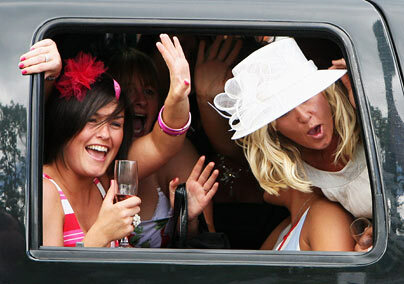 Imagine how resplendent and fantastic you and the rest of the girls will look stepping out onto the hallowed turf of Royal Ascot from inside our pink Hummer limo hire cars. Imagine what it must be like to feel like a celebrity VIP turning up outside the front entrance to the famous Royal Ascot. 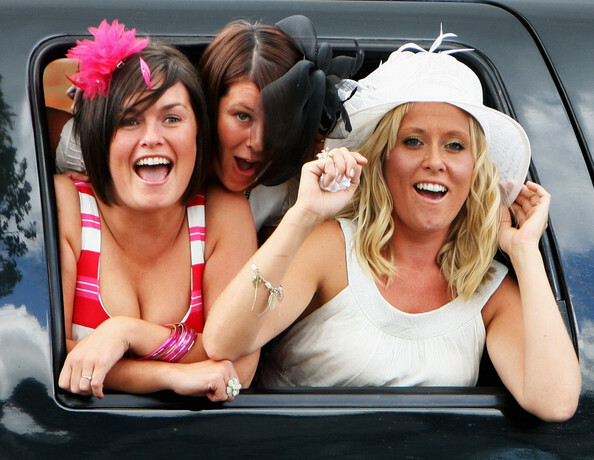 We want you to remember not just the day out to the races but the entire pink Hummer limousine hire experience altogether. So, if you are thinking of descending upon this magnificent spectacle this year then please, come to our cheap limo hire company and get your hands on some amazing Birmingham Royal Ascot Hummer limo hire today.